I call him “Governor McGenius” for a reason. Terry McAuliffe had an impressive record of success as Virginia’s chief executive. He brought in $7 billion of new business — and was scandal-free. Can he translate that success to a successful run for President? Governor McAuliffe Schedule to be a Guest on the John Fredericks Radio Show at 8 a.m. Monday, April 1; Listen Live at WJFN 100.5 FM or Online at www.WJFNRadio.com or install the free John Fredericks Show APP. 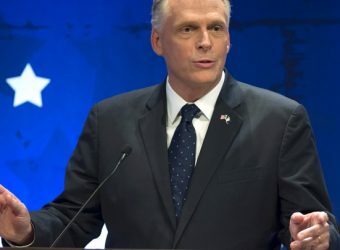 RICHMOND, VA–The #GodzillaOfTruth and WJFN News Talk Radio 100.5 FM is starting April with a jolt of energy – former Virginia Governor Terry McAuliffe, arguably the most energetic man in politics, is scheduled to help kick off the month with an 8:05 a.m. April 1 (April Fool’s Day) appearance on the John Fredericks Radio Show. McAuliffe is the business deal-making 72nd Governor of Virginia known for his boisterous energy and volubility. He previously served as Chairman of the Democratic National Committee, as Co-Chairman of former President Bill Clinton’s 1996 re-election campaign, and as Chairman of Hillary Clinton’s 2008 presidential campaign. At the moment, McAuliffe is considering a run for the presidency in 2020. Locally, he’s the face of a digital billboard visible along Interstate 95 in Richmond promoting WJFN 100.5 FM. The billboard features a picture of McAuliffe in the Governor’s Mansion holding a frosty pint of beer (see image below). Its tagline – “Miss Me Yet?” – is a winking reference to people who might be surprised to find themselves yearning for the days of McAuliffe’s governorship in light of the controversies that consumed the State Capitol this winter. “Governor McAuliffe has been a repeat guest on our program over the years and we’re excited to have him join us on April 1 to help jumpstart the month and our Monday morning,” said John Fredericks, an accomplished media executive who is the host and founder of the John Fredericks Radio Show, and a lead proprietor of WJFN 100.5 FM. WJFN broadcasts Fredericks’ highly popular and influential program and serves as the flagship station for the expanding John Fredericks Radio Network. Fredericks’ eponymous show is simulcast from Washington, D.C. and can be heard on weekdays from 6 a.m.-10 a.m. EST. His show is broadcast in media markets across Virginia including Richmond, Hampton Roads, Lynchburg, and Roanoke. The John Fredericks Radio Show is also heard on stations in Jacksonville, FL. In addition to his radio show, Fredericks is also a regular guest on national and international television news programs. He served with his wife, Anne, as a national delegate to the 2016 Republican National Convention, and was the Virginia Chairman of the Donald J. Trump for President Campaign that year. WJFN is a Richmond-area terrestrial radio station that launched in 2018. It boasts a lineup of prominent Virginia and national voices offering fresh and diverse perspectives on the news of the day, what it means for the way our government functions, and how it impacts people’s everyday lives. What makes WJFN unique is its commitment to providing an engaging, listener-oriented experience that enables audience members to directly connect in real time with the Virginia-based hosts of WJFN 100.5 FM programs. The station’s goal is to showcase voices from both sides of the political spectrum to spark lively and ultimately productive conversations. 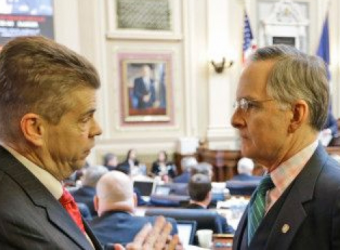 WJFN 100.5 FM is the broadcast home of The Fighting Joe Morrissey Show hosted by Morrissey, a colorful and sometimes controversial criminal defense attorney who previously was an elected member of the Virginia House of Delegates and Richmond Commonwealth’s Attorney. Morrissey is a progressive Democrat who ran for Richmond Mayor in 2016, and who once brought a semi-automatic rifle onto the House of Delegates’ floor to make a point during a policy debate. As the name of his show suggests, Morrissey isn’t afraid to tackle tough topics or fight for the rights of those overlooked by society. Another former state Delegate, Chris Saxman, hosts the Virginia FREE Radio program each Monday from 10 a.m.-1 p.m. EST. Saxman is a former educator, a successful entrepreneur who represented the Staunton area for four terms in the state House, and a keen political thinker, theorist, and strategist. In 2008, he was the Virginia Co-Chairman of U.S. Senator John McCain’s presidential campaign. Saxman currently serves as Executive Director of the Virginia Foundation for Research and Economic Education (FREE). His non-partisan show is a lively mix of politics, business, and policy talk, along with his musings on sports, barbeque, and family-friendly cable television movies for good measure. Democrat Susan Platt, a longtime congressional staff leader, and award-winning political campaign manager who previously worked for former Vice President Joe Biden during his U.S. Senate tenure, hosts “Find Your Roar,” an hourly interview and news talk program with a woman’s point of view on WJFN each Saturday morning from 9-10 a.m. EST on WJFN 100.5 FM. Democrat Gene Rossi, a Northern Virginia-based attorney in private practice with a national law firm who spent nearly three decades prosecuting dangerous criminals as an Assistant U.S. Attorney and ran for Virginia Lieutenant Governor in 2017, hosts “The Gene Rossi Hour” each Saturday from noon-1 p.m. EST on WJFN 100.5 FM. 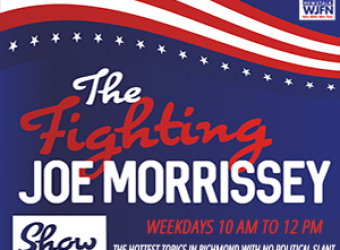 RICHMOND, VA – In a sign of growing popularity, unrepentant radio raconteur Joe Morrissey and his weekday program, “The Fighting Joe Morrissey Show,” have found an additional home on the Richmond airwaves after initially launching on WJFN 100.5 FM and online at www.WJFNRadio.com. Morrissey’s program will continue to be broadcast in its regular slot (Tuesday-Friday, 10 a.m.-noon EST) on WJFN 100.5 FM – the Commonwealth’s premier station for state and national political news talk – and it is now being simulcast on Chester-based station WNTW 820 AM. WJFN broadcasts Fredericks’ highly popular and influential program and serves as the flagship station for the expanding John Fredericks Radio Network. Fredericks’ eponymous show is simulcast from Washington, D.C. and can be heard on weekdays from 6 a.m.-10 a.m. EST. His show is broadcast in media markets across Virginia including Richmond, Hampton Roads, Lynchburg, and Roanoke. The John Fredericks Radio Show is also heard on stations in Washington, D.C. and Jacksonville, FL. In addition to his radio show, Fredericks is also a regular guest on national and international television news programs. He served with his wife, Anne, as a national delegate to the 2016 Republican National Convention, and was the Virginia Chairman of the Donald J. Trump for President Campaign that year. Another former state Delegate, Chris Saxman, hosts the Virginia FREE Radio program each Monday from 10 a.m.-1 p.m. EST. Saxman is a former educator, a successful entrepreneur who represented the Staunton area for four terms in the state House, and a keen political thinker, theorist, and strategist. In 2008, he was the Virginia Co-Chairman of U.S. Senator John McCain’s presidential campaign. Saxman currently serves as Executive Director of the Virginia Foundation for Research and Economic Education (FREE). His non-partisan show is a lively mix of politics, business, and policy talk, along with his musings on sports, barbeque, and family-friendly cable television movies for good measure. Democrat Susan Platt, a longtime congressional staff leader and award-winning political campaign manager who previously worked for former Vice President Joe Biden during his U.S. Senate tenure, hosts “Find Your Roar,” an hourly interview and news talk program with a woman’s point of view on WJFN each Saturday morning from 9-10 a.m. EST on WJFN 100.5 FM. Democrat Gene Rossi, a Northern Virginia-based attorney in private practice with a national law firm who spent nearly three decades prosecuting dangerous criminals as an Assistant U.S. Attorney and ran for Virginia Lieutenant Governor in 2017, hosts “The Gene Rossi Hour” on WJFN each Saturday afternoon from noon-1 p.m. EST on WJFN 100.5 FM. 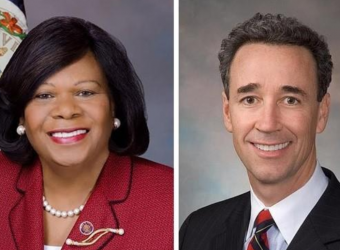 RICHMOND, VA – The roster of original, Virginia-based political news talk programming from across the ideological spectrum continues to grow on the Commonwealth’s new home for state and national political news talk in Virginia – WJFN 100.5 FM on the radio dial, and www.WJFNRadio.com online – with the launch of a new center-left show this week. The “Gene Rossi Show” debuts this Saturday (January 5) at noon on WJFN 100.5 FM. 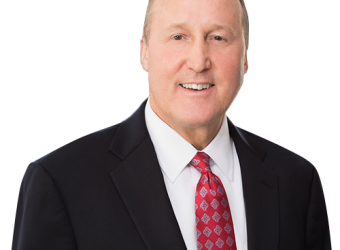 The hourlong show will be hosted by Gene Rossi, who is a Northern Virginia-based attorney in private practice with a national law firm. He spent nearly three decades prosecuting dangerous criminals as an Assistant U.S. Attorney in the Eastern District of Virginia. In 2017, he was a Democratic candidate for Virginia Lieutenant Governor. Rossi teaches constitutional law at George Mason University and trial advocacy at Harvard Law School. He has been a long-time youth basketball coach. Rossi is a regular legal commentator on MSNBC, the Law & Crime Network, CNN, Hill TV, and numerous other news programs on which he provides insights about high-profile trials, the ongoing investigation by Special Counsel Robert Mueller into Russian interference in the 2016 U.S. election, and other matters. Rossi’s show will air each Saturday at noon on WJFN 100.5 FM and online at www.WJFNRadio.com. WJFN broadcasts Fredericks’ highly popular and influential program and serves as the flagship station for the expanding John Fredericks Radio Network. Fredericks’ eponymous show is simulcast from the Washington, D.C. and can be heard on weekdays from 6 a.m.-10 a.m. EST. His show is broadcast in media markets across Virginia including Richmond, Hampton Roads, Lynchburg, and Roanoke. The John Fredericks Radio Show is also heard on stations in Washington, D.C. and Jacksonville, FL. In addition to his radio show, Fredericks is also a regular guest on national and international television news programs. He served with his wife, Anne, as a national delegate to the 2016 Republican National Convention, and was the Virginia Chairman of the Donald J. Trump for President Campaign that year. WJFN is a Richmond-area terrestrial radio station that launched in 2018. It boasts a lineup of prominent Virginia and national voices offering fresh and diverse perspectives on the news of the day, what it means for the way our government functions, and how it impacts people’s everyday lives. What makes WJFN unique is its commitment to providing an engaging, listener-oriented, interactive experience that enables audience members to directly connect in real time with the Virginia-based hosts of WJFN 100.5 FM programs, and its goal to showcase voices from both sides of the political spectrum to spark lively and ultimately productive conversations. 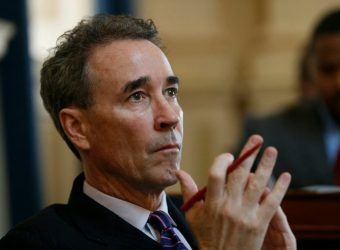 WJFN 100.5 FM is also the broadcast home of The Fighting Joe Morrissey Show hosted by its namesake, Joe Morrissey, a colorful and sometimes controversial criminal defense attorney who previously was an elected member of the Virginia House of Delegates and Richmond Commonwealth’s Attorney. Morrissey’s program can be heard on WJFN 100.5 FM from 10 a.m.-noon EST each Tuesday-Friday. He is a progressive Democrat who ran for Richmond Mayor in 2016, and who once brought a semi-automatic rifle onto the House of Delegates’ floor to make a point during a policy debate. As the name of his show suggests, Morrissey isn’t afraid to tackle tough topics or fight for the rights of those overlooked by society. The best thing about living in Washington, D.C. during the week is Friday…when I leave the swamp to go back to my family in Tidewater. Forget driving, after two years and thousands of dollars in parking tickets later, I scrapped that mode of transportation for Amtrak and Metro. The D.C. parking meter cops must have secret radar, they know exactly when your pay-to-play meter expires and pop a $30 ticket on your windshield. Plus, I’m convinced they work on straight commission. Ever noticed the rat problem in D.C.? Not the leaker rats in the White House and the deep state…I’m talking real rats. Big ones. They roam the city at night like they own the place. I’m thinking about bringing my alpha-cat Sammy @SammyTrumpCat here for a week and let him out at night. He’ll eat like a king! I broadcasted my radio show today from the first ever American Priority Conference at the swanky Marriott Wardman Park in the Adams-Morgan section of the District. It’s like the poor man’s CPAC. Many of the conventioneers are younger and appear to represent the totally unorganized faction of fervent grassroots Trump supporters. Many have been shunned or ousted by their local GOP committees. Sort of like the land of MAGA misfit toys. So Priorities is rallying them together via social media. The organizers say the Conservative Political Conference (CPAC) has become too big and too corporate. They invited me to do radio row–and I was a gang of one. You have to start somewhere so I’m happy to be a part of their inaugural voyage. Sidebar: I ran into a Lyndon LaRouche supporter! Do they still have those? The abundance of my contacts in the State Dept. and the United Nations viewed the much-anticipated Trump nomination of former FOX News television anchor and State Dept. spokeswoman Heather Nauert as downright silly. Everyone I talked with told me she is woefully underqualified and will be immediately viewed as a made for TV lightweight, not to be taken seriously on the world stage. Nikki Haley is a tough act to follow. Advocating, articulating and applying President Trump’s America First vision to the global scene is not a task suited for the squeamish or faint of heart. I know this as a senior contributor to the Al-Jazeera Arabic Network defending President Trump to millions of Middle Eastern viewers every night. Nauert is very smart; with a good team around her, she may very well grow into the role. On the flip side, the reviews on Trump’s Attorney General nominee William Barr, a former A.G. under Bush 41 was met with universally laudable comments like “brilliant” “checkmate” and “savvy.” Barr brings street cred, relationships, experience and a dislike for protracted special counsels to the table. He’ll likely sail through the Senate’s confirmation process. Barr is the perfect AG to get Trump through 2020. The President’s focus needs to be on legislative accomplishments, not investigations and creepy deep state shenanigans. See you, General Kelly! Thanks for coming! And thanks for your service. We have an election to win. Time for change. The President needs to marry his legislative agenda with a 2020 re-election campaign message. If not, we’ll end up with Paul Ryan’s riveting doozy of the mid-terms: “A better way…” Wow, if that didn’t knock your election socks off. It was almost as good as: “I’m with her.” A better way to do what? Cut my grass? Good riddance, Mr. Speaker, and don’t let the water pitcher hit you in the keister on the way out. Trump needs a political consigliere, not a taskmaster. Vice President Mike Pence’s Chief of Staff Nick Ayres is the front-runner and the clear favorite. 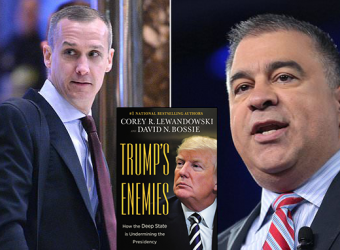 But former Trump for President deputy campaign manager David N. Bossie, the dark horse in the race to replace Kelly, is making a late move. 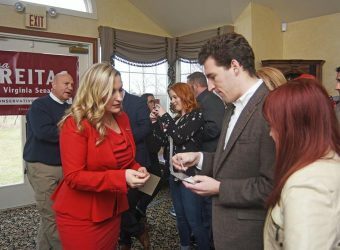 Ayres is gaining favor with the Boss, the family likes him, and he’s got quite the political resume for a 36-year old. He’s served the Vice President admirably. I first met Nick Ayres in Atlanta in 2001 when he was campaign manager for Sonny Perdue, a long shot gubernatorial candidate in a five-way GOP primary with the hapless winner set to face a popular incumbent Democratic governor. Everybody said Ayers was way too young back then. Governor Perdue came from nowhere to win the primary, defeated Roy Barnes in a stunning upset with no money, and served two terms. 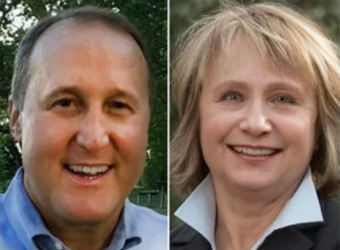 Every subsequent job Ayres has held – from executive director of the Republican Governor’s Association to campaign manager for Minnesota Gov. Tim Pawlenty’s Presidential campaign in 2012–he was called “too young.” I don’t believe age is the issue. Sidebar: Ayres readily acknowledges that the Pawlenty for President campaign was a train wreck. They pulled out after losing the Ames, Iowa Straw Poll-as silly now that it sounds. But to their credit, they gave out DQ Blizzards in their tent, which was a huge hit! There are a few White House knives out for Ayres. Some detractors say he’s power hungry and blind with ambition. A few West Wing Trump loyalists worry he’s too tied to Pence’s massive political operative machine, and others fret that he doesn’t believe in President Trump America First vision for America. Bossie, on the other hand, is mature, proven, tough and he really gets Trump. He’s a true believer. While an adept veteran manager he’s also demonstrated keen political acumen throughout his career. Ayres is the odds-on favorite to replace Kelly. I had Anthony Scaramucci on my radio show today, and I asked him what he thought about Kelly leaving. Ran into former White House advisor Cliff Sims last week, who got a multi-six figure advance on a new book about his days in the West Wing: “Team of Vipers.” When will there be Trump book overload? Cliff was on my radio show several times during his tenure with the White House and also during the election when I was broadcasting live at Trump Tower in New York City. We’ll see. How is BlueGinia? I attended Virginia Governor Ralph Northam’s (D) correspondents Christmas Party Thursday night at the fabled Mansion and ran into two of the four Democratic candidates for governor 2021. Quick Guide to “Virginia politics for dummies:” It’s blue. Democrats win. Republicans lose. Lt. Gov. 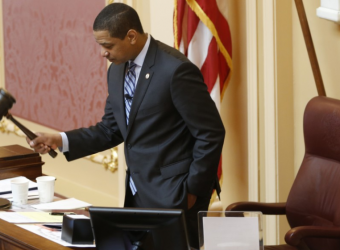 Justin Fairfax – 2:1 – “The Package” A man of the people. He has it all. A.G. Mark Herring – 3:1 –“The Silver Fox” – He’s going to run, he can’t be AG forever, right? Norfolk Mayor Kenny Alexander 12:1 “Mo-Joe” – I love this bet at 12:1! Can you say Creigh Deeds 2009? Republicans – No line. It’s Blue.